Financing a home purchase continues to be more economical with the rate for the 30-year fixed rate mortgage (FRM) at a year-to-date low for the third straight week. According to Freddie Mac, the 30-year (FRM) averaged 3.78% with an average of 0.5 point for the week ending September 7, down four basis points from last week when it was 3.82%. A year ago at this time, it was 3.44%. The 15-year FRM averaged 3.08% with an average 0.5 point, versus the previous week's average of 3.12% and 2.76% a year earlier. 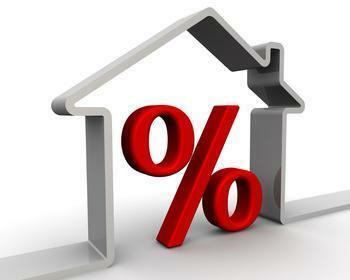 The five-year Treasury-indexed hybrid adjustable-rate mortgage (ARM) inched up one basis point from the week before to 3.15% week with an average 0.4 point. A year ago at this time, the 5-year ARM averaged 2.81%. Bankrate.com's weekly national survey also found the 30-year FRM dropping to a fresh 10-month low -- 3.95%, down two basis points from the week before. At the current rate of 3.95%, the monthly payment for a $200,000 loan is $949.07. The larger jumbo 30-year FRM was unchanged at 3.99%, while the 15-year FRM fell 3.17% -- a new 10-month low. ARM were slightly lower, with the 5-year ARM ticking at 3.45% and the 7-year ARM at 3.63%. Renewed tensions surrounding North Korea and its nuclear activities spurred a selloff on Wall Street at the beginning of the week, according to analysts at Bankrate, with money moving from stocks to bonds. Mortgage rates are closely related to the yields on long-term government bonds. Additionally potential economic fallout from Hurricanes Harvey and Irma are helping keep bond yields and mortgage rates at low levels.